Who said cancer-awareness event promotion can’t be pretty? 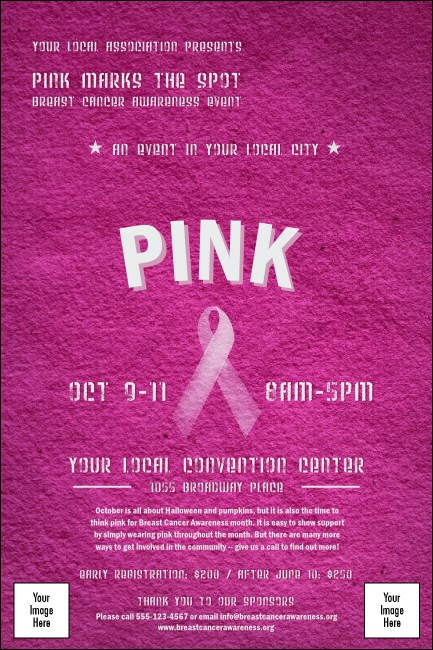 Print Breast Cancer Pink Ribbon Posters in advance for your next event and watch your guest list grow. With space on the template to upload two of your own unique images on a beautiful pink, texturized background design, these Posters will help you complete the advertising spectrum! Promote cancer awareness just by printing at TicketPrinting.com.